The application process will close on August 10th, 2018. Thank you for your interest. We will be looking for volunteers to assist with the Pokemon Regional Championships. 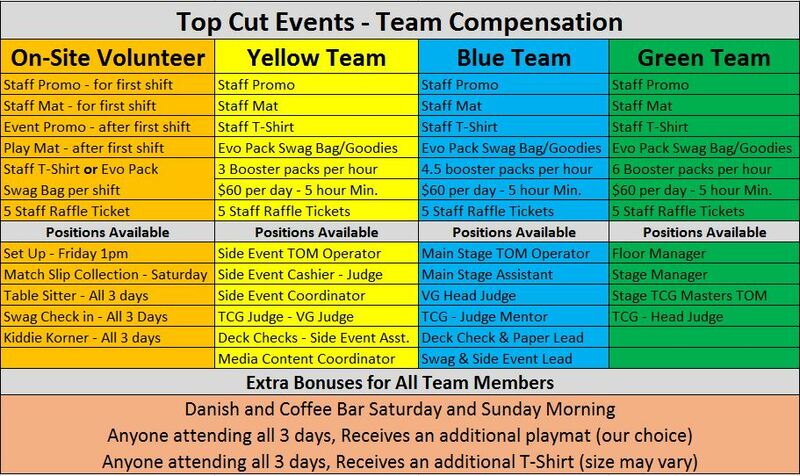 We will be filling several volunteer positions, including Trading Card Game Judges, Video Game Judges, Stage Runners, Kiddie Korner Staff, Paper Team, and many other spots to make this an amazing event. We will need volunteers as early as 1pm on Friday and could be there as late as 9pm on Sunday. If interested, please complete the google doc found HERE! This link will be active until August 10th, or until we reach 100 applications. Whichever comes first. Once the approval process has completed, please fill out the Volunteer Consent Form provided below and return it to MemphisPokemonRegional@gmail.com or fax it to 815-329-6975.